Dr. Vijai Kumar Gupta is the Senior Scientist, ERA Chair of Green Chemistry, Tallinn University of Technology (TUT), Tallinn, Estonia. He is the Secretary of European Mycological Association, Country Ambassador of American Society of Microbiology and most recently he has been awarded with-Distinguish International Professors-ship by IFST, CAAS, China. He is the Fellow of- Linnaean Society (FLS), London, UK; Mycological Society of India (FMSI) India; Indian Mycological Association (FIMS), India; Associate Fellow-National Academy of Biological Sciences (Asso FNABS), India; Foreign Academics of Mexican Academy of Sciences, Arts, Technology and Humanities, Mexico. 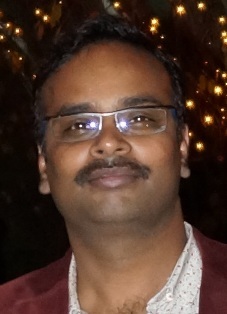 He is the editor of well reputed journals including, BMC Microbiology, BMC Fungal Biology and Biotechnology, Microbial Cell Factories, Microbiome, Mycosphere, PLOS One, Scientific Reports, Biomolecules, and has edited 28 books, for internationally reputed publishers like Elsevier Press, Wiley-Blackwell, Taylor and Francis, Springer-Nature, CABI and De Gruyter. Also, his h-index is 26 and has many papers in his hands in internationally well reputed journals and developed few IPs in the area of microbial biotechnology for sustainable product developments.